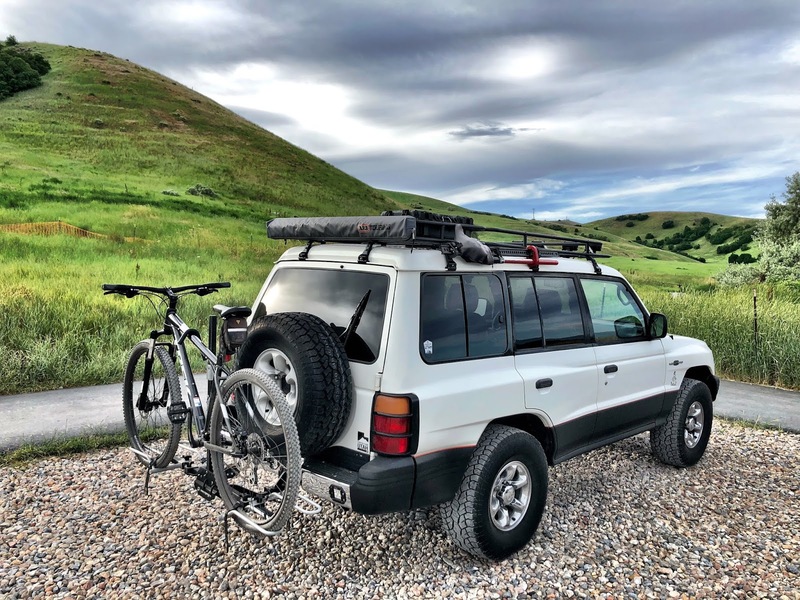 But I wasn’t ever pleased that the rack wasn’t full length, leaving the last eighteen inches of the side awning unsupported and putting the off-road lights too far back on the roof just ahead of the sunroof opening, losing the bottom half of their beams and creating a lot of noise. 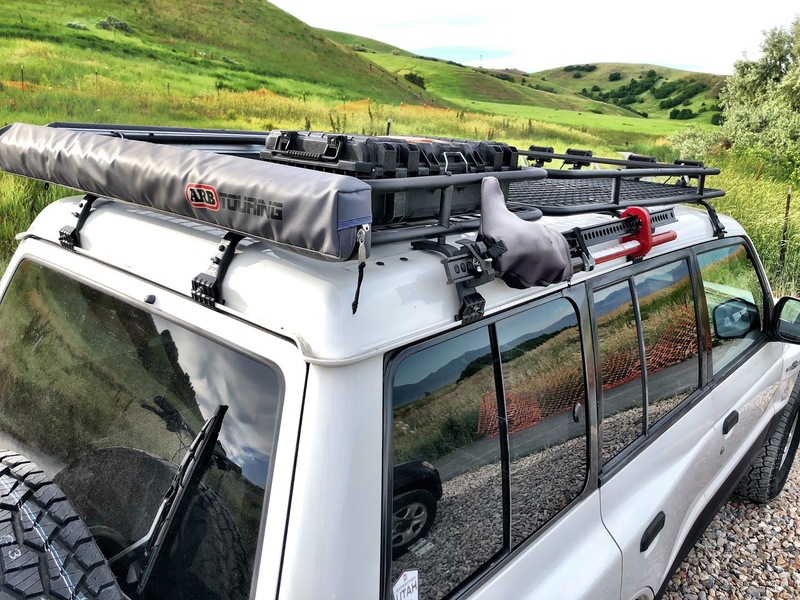 To remedy these issues I picked up another Apex rack to modify to fit in the space left by the existing rack after it’s repositioned at the front of the Nomad’s roofline. 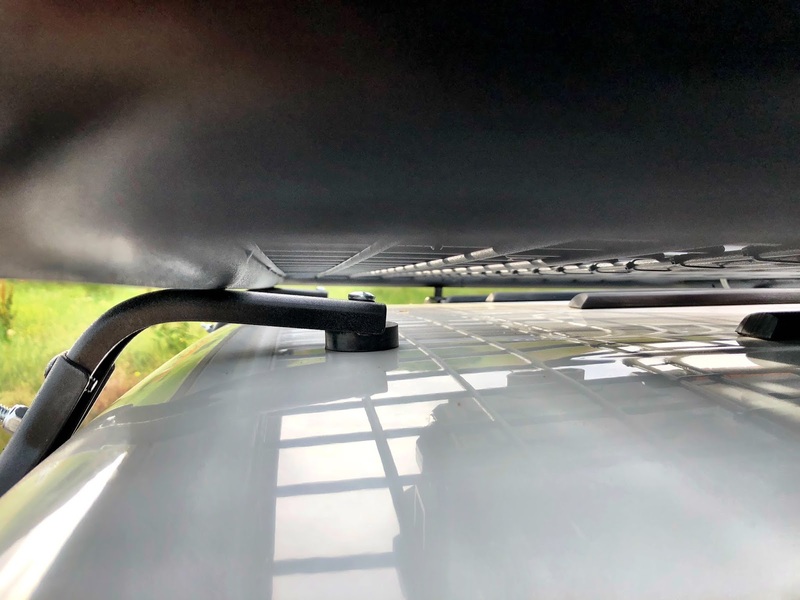 With the original rack in place forward on the roof, I measured the distance from the end of the rack to the end of the roofline and came up with 29.5″ of length. That meant cutting the new rack down from 62.5 inches. The rack ships in four pieces that, two halves of the bottom basket and two of the top rail. 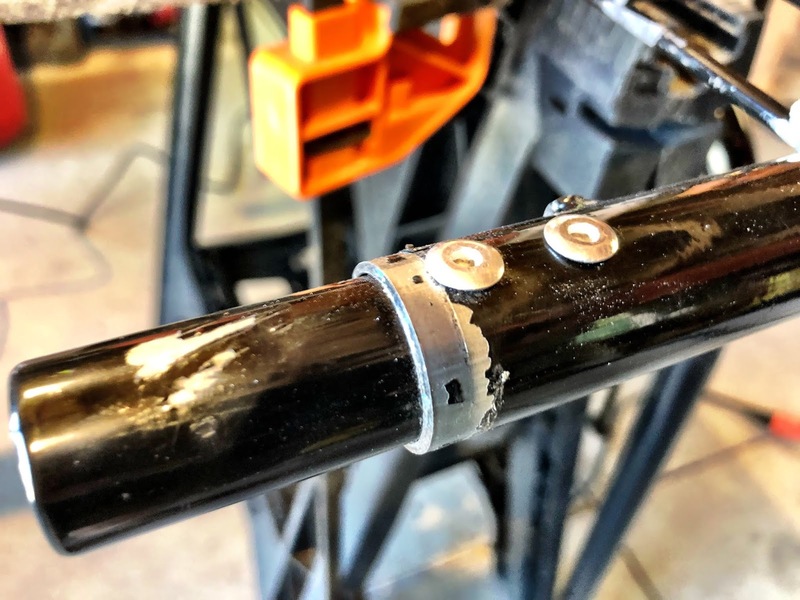 I removed the connecting hardware by drilling out the tack welds and breaking out the inner tube. I then used a Sawsall to cut the basket halves to the new length and used a pipe cutter to cut the tubing. 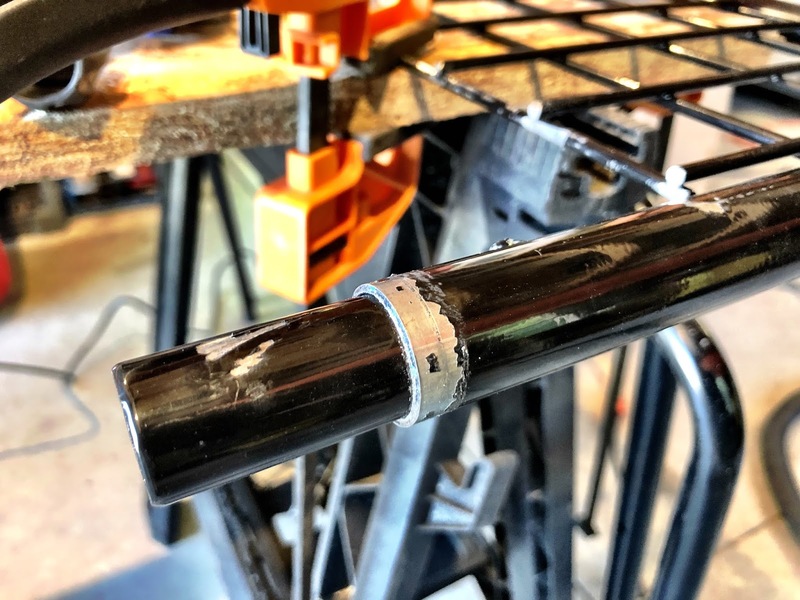 I then fit the inner connecting tubes and riveted them in place. 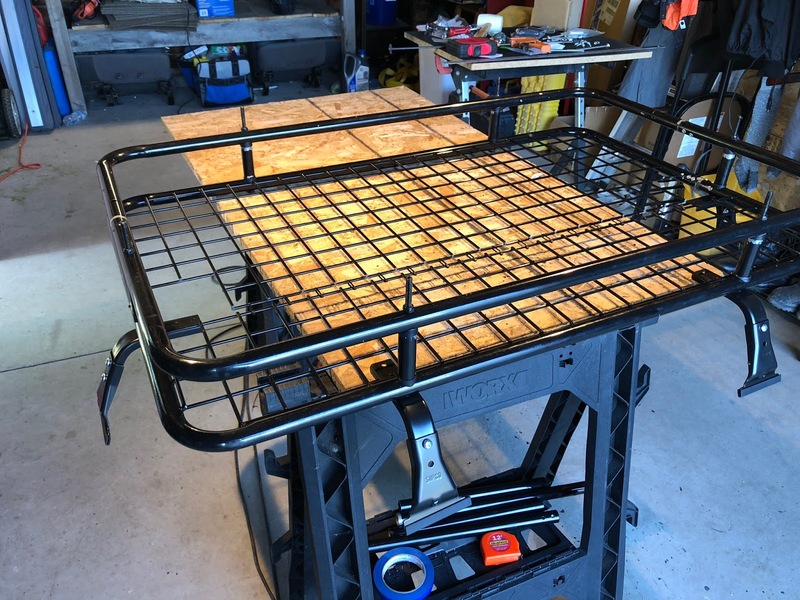 I assembled the basket platform and did a test fit on the Nomad. 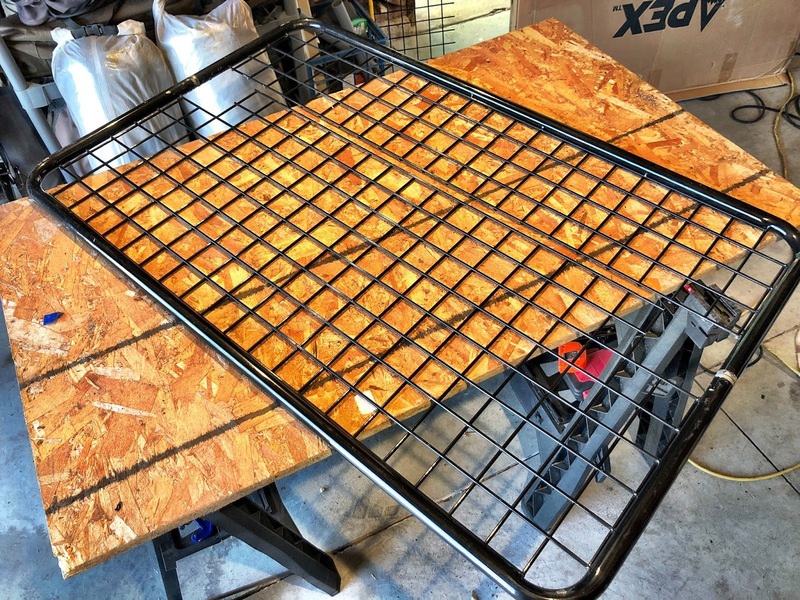 The footprint of the basket served as a jig to fabricate the upper rail. 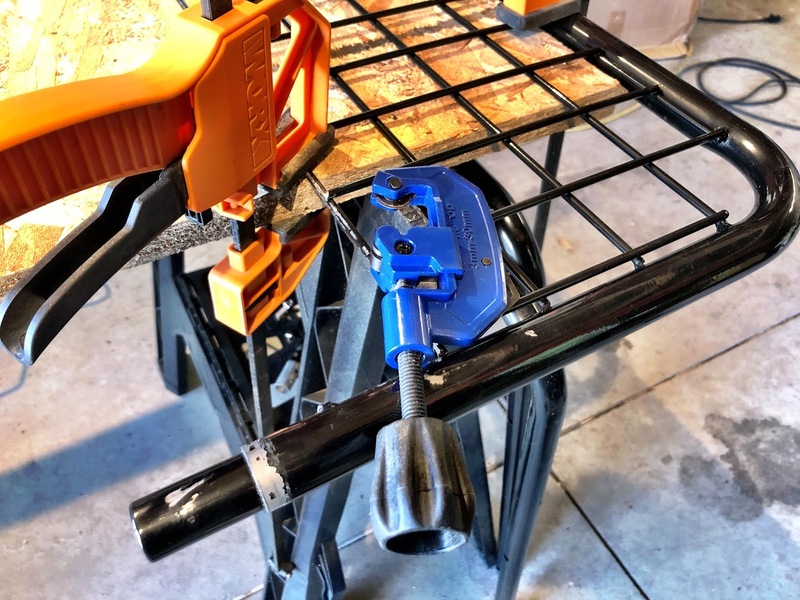 I cut the uprights down to 2.5″ each, cut the upper tubing to size, secured the halves the same way as the basket, and fit the top rail to the basket. The stanchions on the original rack are at 32″ centers, so I measured that distance from the rear stanchion back to where the stanchions would be at that distance on the small rack and drilled 5/8″ holes through top to bottom to mount the stanchions directly to the uprights like I did on the original rack. 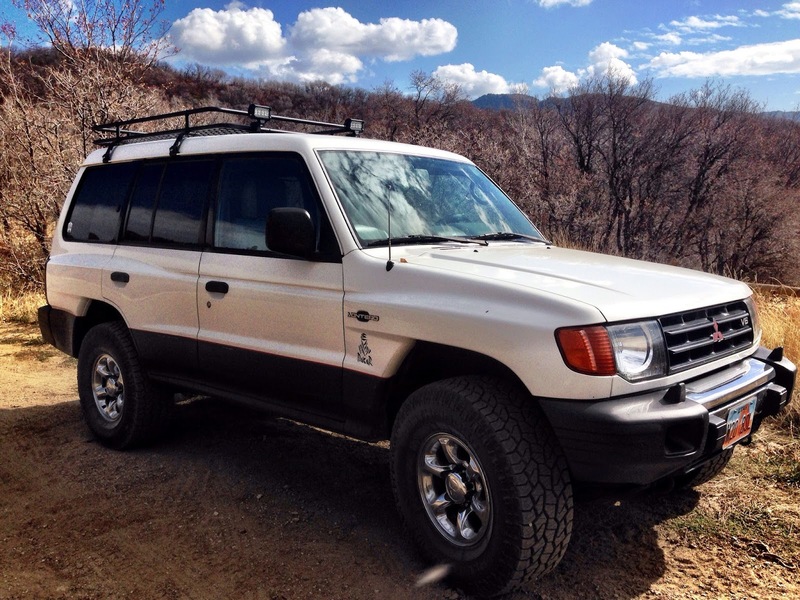 The stanchions are Surco roof rack gutter mounts. 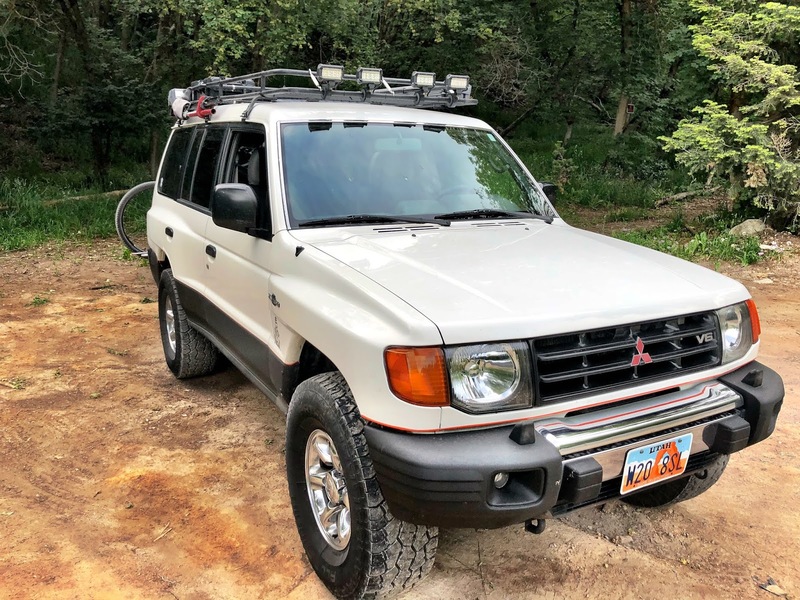 I mounted two on the sides and two on the rear to help support the rear ARB awning along with work light fixtures. 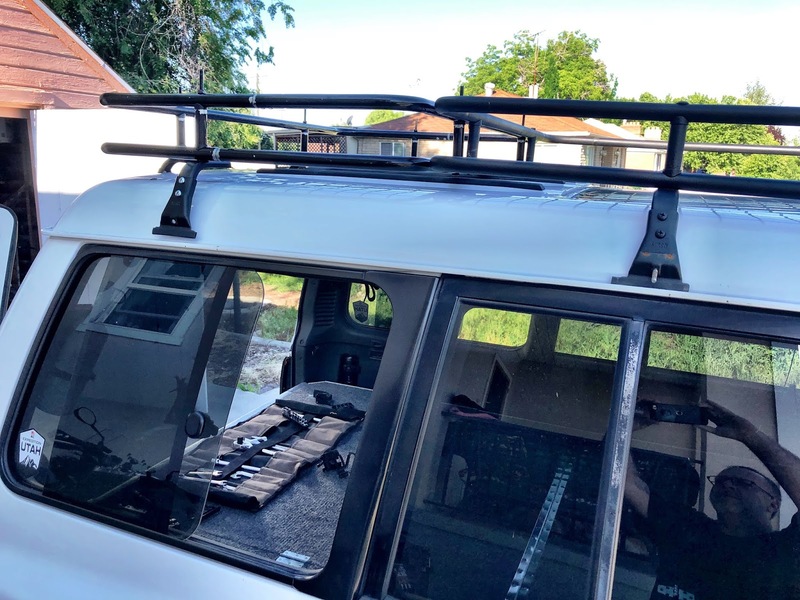 I did a test fit and made some adjustments and then shot the rack with Krylon’s truck bed liner, the best liner I’ve found for spray applications. 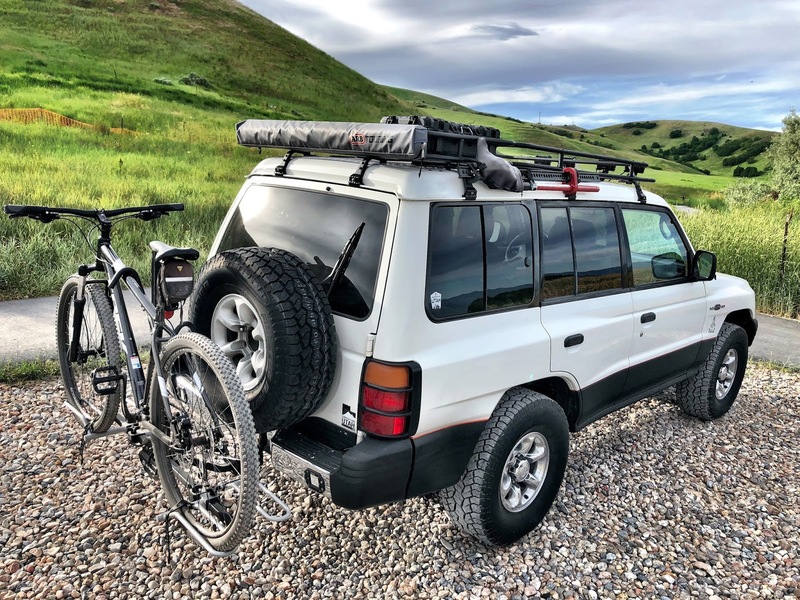 Before mounting the rack I fit a QuickFist on the passenger side stanchion to go along with the one I fit on the existing rack to hold a Hi-Lift jack. I also bolted two studs on the back stanchions for the work lights. The rack mounted without issue and I bolted it down. 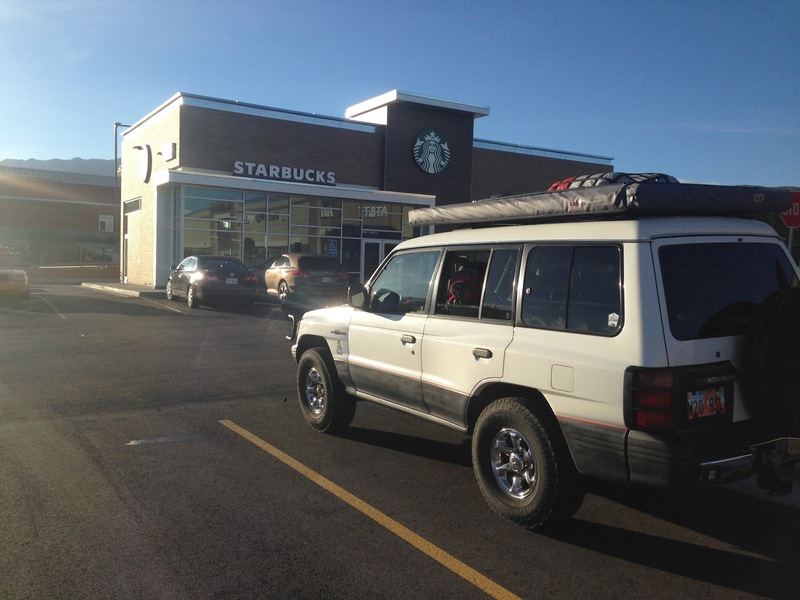 I’ve since mounted the awnings, the recovery gear box and the Hi-Lift and I’m happy with the results. I used four 2.5″ hose clamps to mate the two racks together (that’s a cellular signal boost antenna on top). The Surco stanchions are supported on the roof with some hardware out of the Hillman bins. The stanchions themselves were rigid to begin with, but I wanted some kind of rubber insulation between them and the roof. The QuickFists are mounted on the passenger side Surco stanchions. There are two bolts that assemble the lower stanchion to the upper strut, the top of which was replaced with a 2.5″ long 1/4″ bolt mounted with a lock nut against the strut, then the QuickFist that has a brass bushing with a flange slipped over the bolt that mates up against the lock nut through the QuickFist. 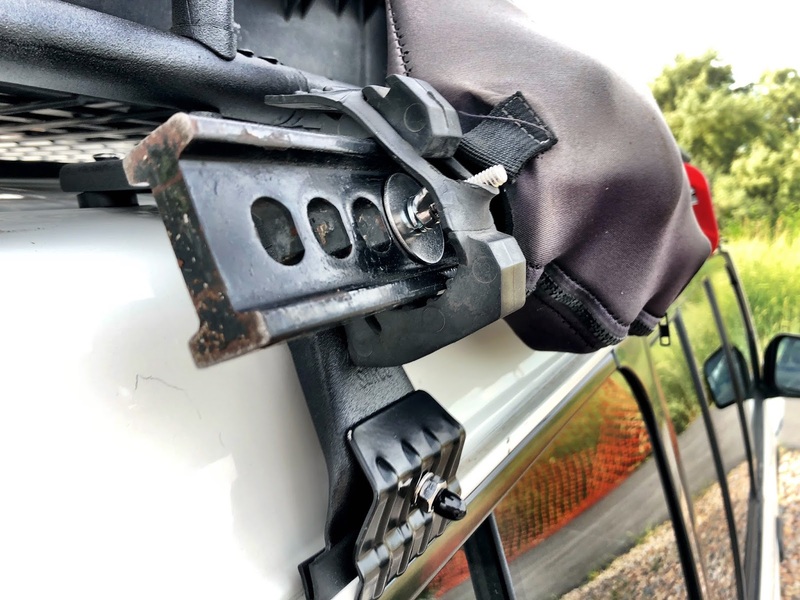 With the jack in place it’s secured with a fender washer, lock washer and wing nut, finished with the strap of the QuickFist. Phew. 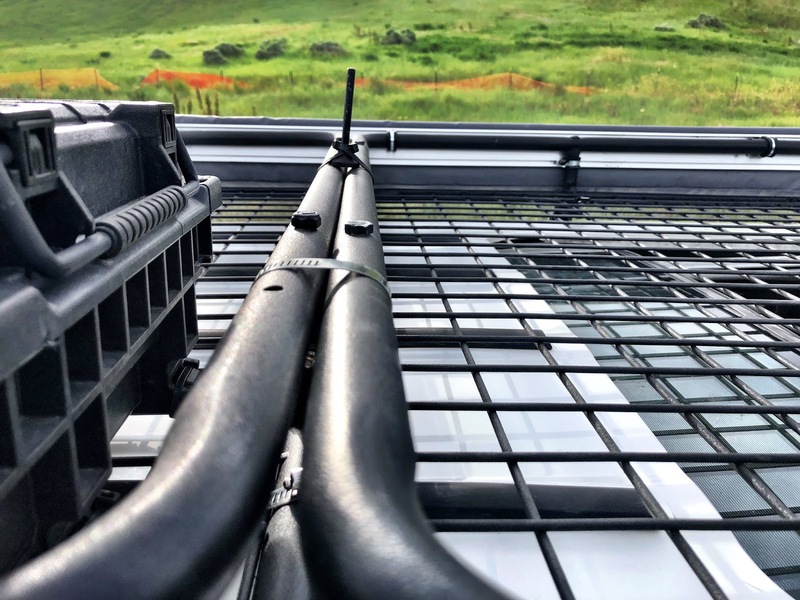 The rack is rock-solid, no rattles even from the Hi-Lift and with the sunroof open, it’s as quiet as if the rack was not mounted. Now it’s time to hit the electrical.